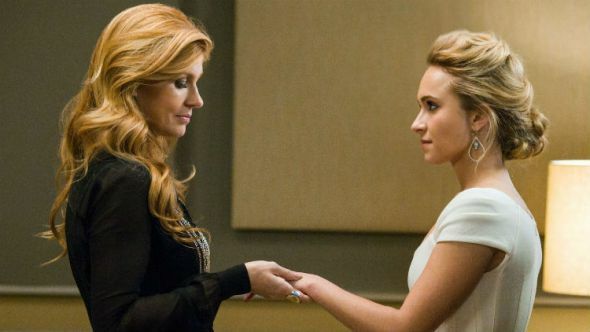 Fans of Rayna Jaymes and Juliette Barnes might get another chance to see their favorite country divas again. Deadline has reported that CMT is in talks with producer Lionsgate for a fifth season of Nashville, the recently canceled ABC drama. While Nashville has been on the bubble the past few years, many thought that ABC would give the series a fifth season, after making announcements of new showrunners Marshall Herskovitz and Ed Zwick, who were announced to succeed departing original showrunner Dee Johnson just a little while ago. However, during that time ABC put a new president in place, and canceled veteran shows like Nashville and Castle. The soapy drama would be a good fit with CMT, who announced they are going back into the scripted television arena, with a few new series debuting this summer. If a deal is finalized soon, a pickup could be announced as early as tomorrow during the CMT Music Awards.